Purple Sprout Cafe and Juice Bar is an organic, non-gmo, plant-based restaurant and juice bar that is open for breakfast, lunch and dinner, with a wide variety of cooked and raw dishes. They also offer Meal Plans (people order food for a day, a week, or a month), Nutritional Consultations, cooking classes, lectures, workshops, and catering. They are also a natural living store offering various packaged foods, natural soap, books, etc. With everything they do, from the beautiful, vibrant, tasty dishes they create to the way they treat their customers (who often become friends) the passion and their love shines through! 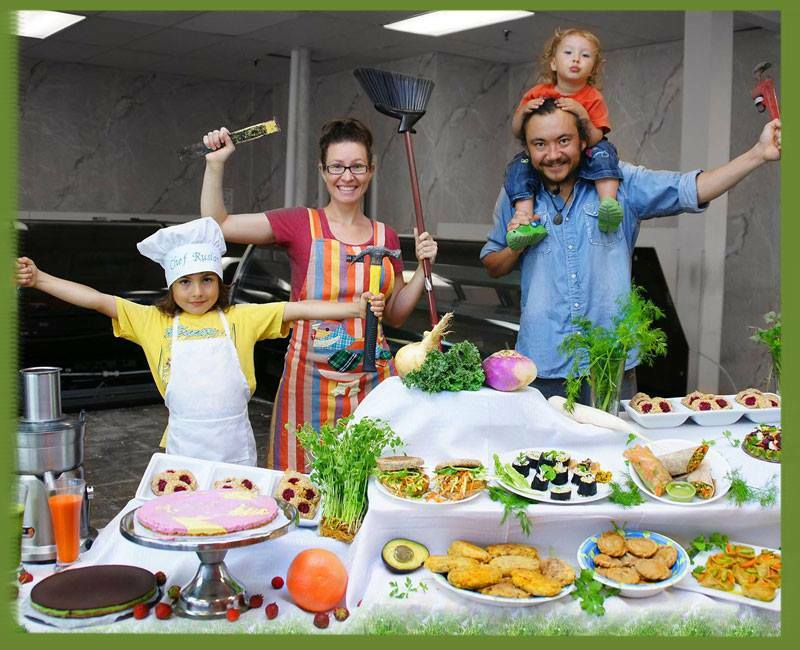 The cafe is a joint creation of Karim and Irina who individually had faced health issues that ultimately resolved when they transitioned to a whole food plant based diet. Karim’s work for several years as a hospice nurse helped inform the direction that Purple Sprout would take, and Irina came from a corporate environment as head of employee wellness. Marry those backgrounds with resolved health issues and their collective love of beautiful, tantalizing, and delicious food, and Purple Sprout is born! Spend a little time here and you’ll quickly learn that this isn’t JUST a place to eat great food (and, of course, it IS that!) They host cooking classes at the cafe about once a month now, and have begun working with doctors’ offices and wellness centers to offer joint events such as cooking demos. In other words, Purple Sprout is on a mission to help people heal through food…even when they don’t necessarily know they’re doing it. They’re just enjoying the delicious food! Located at 341 E Dundee Road, Wheeling, in the Riverside Plaza, this charming diner will be a treat for the entire family. Who knew such healthy food could be so delicious and beautiful to boot.